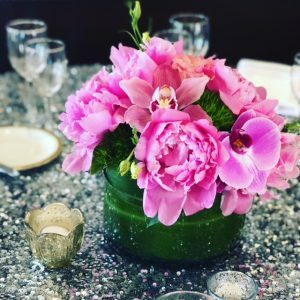 Kale has a gorgeous hue and also makes a beautiful statement when paired with orchids. Gold vase is a keeper! 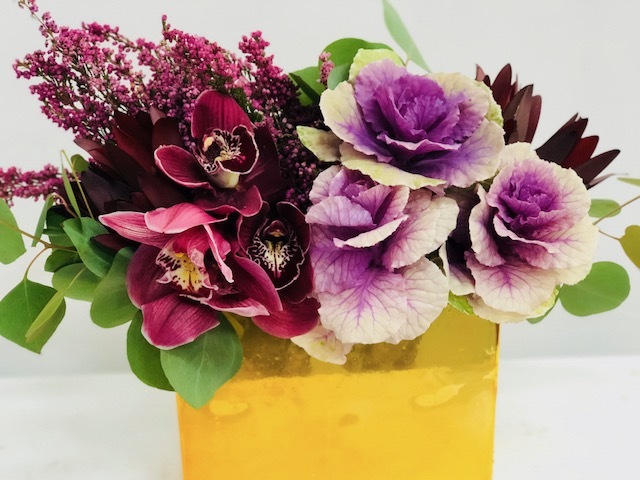 At Kitanim, we are committed to providing you with the highest quality florals that are both fresh and also unique to the season. The items chosen from our SHOP page are to be seen as points of inspiration for style, design and color palette. 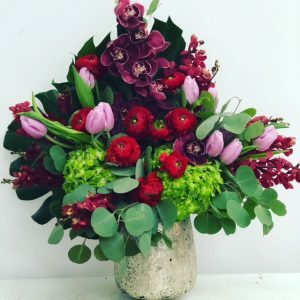 We will do our very best to recreate the beautiful aesthetic you’ve chosen, but we will reserve the right to use our creative and professional judgement to substitute any florals based on availability and freshness. 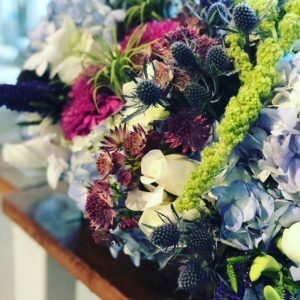 Thank you for allowing us to design your next floral gift with our unique design eye and commitment to style integrity. If you have any questions or concerns, feel free to call us at 786-879-7341 in order to speak with a designer.